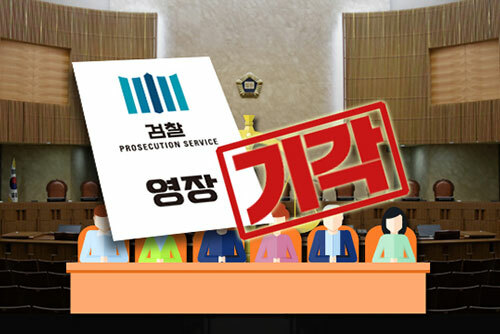 Prosecutors probing suspected judicial abuses during the Park Geun-hye administration have had their request for warrants to raid the homes and offices of officials linked to the scandal declined. The Seoul Central Prosecutors’ Office said Friday that a Seoul court had rejected its request for warrants to search the offices and residences of former and incumbent officials of the National Court Administration(NCA) who allegedly drew up a report on lawsuits filed by the victims of Japan’s wartime forced labor and sexual slavery. The court also turned down requests for search warrants for former and current Supreme Court justices who handled the lawsuit cases. Prosecutors wanted to secure evidence to shed light on allegations that NCA officials drew up such a report after contacting Foreign Ministry officials to use such cases as a bargaining chip with the ministry. The court is said to have explained that it turned down the latest raid warrant requests given that those in question were simply following orders from Im Jong-heon, the former vice director of the NCA. Since prosecutors launched their probe, search warrants have only been issued for the Foreign Ministry, Im and a senior judge. Next :Research Center for Japan's Wartime Sexual Enslavement to Open Fri.